Do you hold elite tier status with an airline, hotel or other loyalty program? If so, you might want to think about obtaining a status match to take advantage of holding this status with multiple programs. This can be particularly useful if you’re unlikely to re-qualify for the subsequent year. Many airlines and hotel chains are willing to match your existing loyalty program status with competitors if you approach them. (Particularly if you can demonstrate that you’ll be predisposed to using their product frequently in the future). How do I approach a competitor for a Status Match? Where can I find out which schemes offer a Status Match? For an up to date report on which programs match and which ones deny, our go to site is statusmatcher.com. 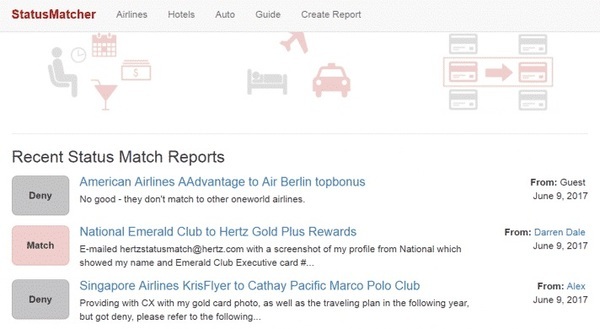 This website shares comprehensive field reports across airline, hotel and car rental loyalty programs, as well as tips from users on strategies to obtain a successful ‘match’. Readers should keep an eye out for lucrative hotel and airline status match programs that are frequently carried out (sometimes these are targeted, whilst often, they are open to everyone). Either way, it can’t hurt to try your luck to send in a request for a match. 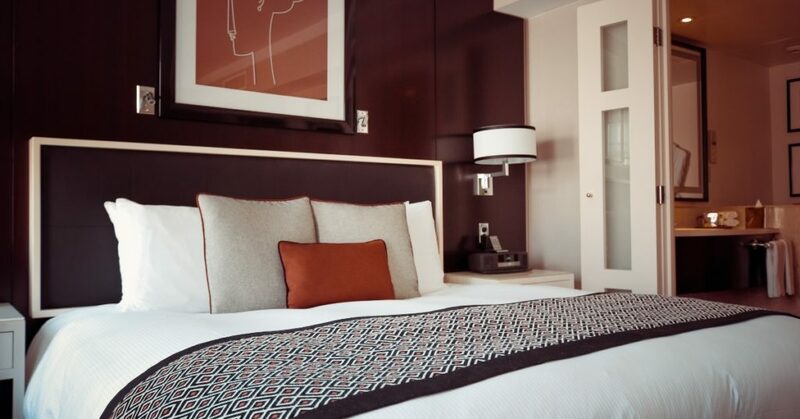 Note that you can also fast track your way to Accor Gold status instantly, simply by following the steps outlined in this post. A status match is one of the most useful travel tips around. It could see you enjoying fabulous perks at high end properties across the world, so it’s worth pursuing. Granted, not all programs allow a match, but if you have five minutes to send a request, it’s definitely worth a try.